Paul Dent T/A Keston Castles - Painter/Decorator based in Bromley, Kent. Hi my name is Paul Dent and have been decorating homes for more than twenty years. I work by myself with an honest, friendly, reliable approach to achieve the best results. I enjoy what I do and it reflects in my finish. I am always available for help and advice on colours and papers and all aspects of decoration. I will treat your home with respect, I will always tidy up after myself and treat your home the way you would expect. I also have all the latest equipment to clean carpets, driveways and guttering. 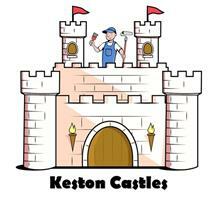 I have always lived in the Keston area and built a great reputation and have many satisfied customers. Call for a free estimate, you won't be disappointed! !